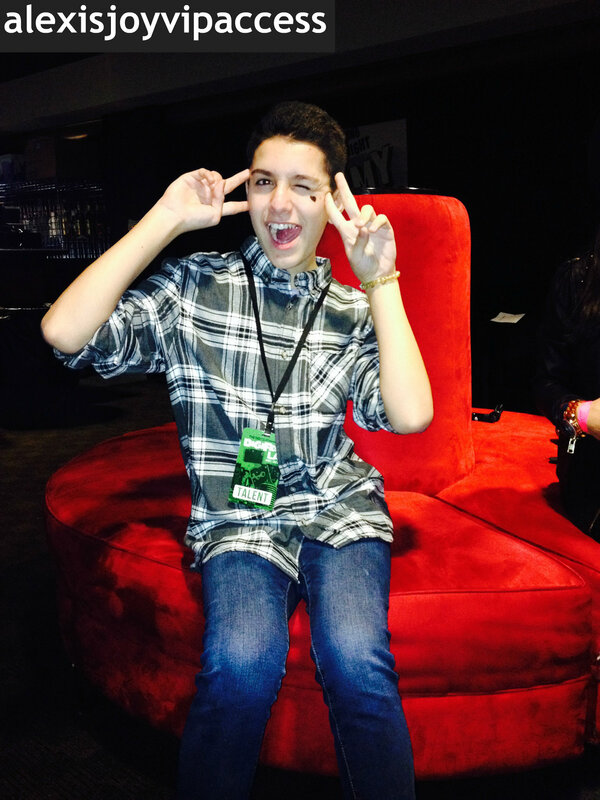 VIPAccessEXCLUSIVE: LohAnthony Exclusive Interview With Alexisjoyvipaccess At DigiFest LA! What’s the first thing that pops into your head when you hear… ‘LohAnthony’? Outstanding, amazing, wonderful, and the list goes on and on! LohAnthony is truly one incredible Youtube sensation who has gained the support from fans worldwide and even celebrities like Katy Perry (and much more)! Every single one of LohAnthony’s videos can truly brighten up viewers’ days and have them laughing from start to end; and all of LohAnthony’s over 700,000 Youtube subscribers can agree! LohAnthony has such a radiant and fantastic personality that we all just have to “Keep Calm and love LohAnthony”. I, Alexisjoyvipaccess had a marvelous time interviewing the one and only LohAnthony at the incredible *event of the year* – the DigiFest LA on December 14, 2013 at the Hollywood Palladium! LohAnthony dishes exclusively to Alexisjoyvipaccess about crazy fan encounters, where he gets his inspiration for his Youtube videos and so much more in our VIPAccessEXCLUSIVE interview. LohAnthony even spills on his Teen Wolf after-show appearance only in our VIPAccessEXCLUSIVE interview below. Thanks for the excellent interview, LohAnthony! Check out my VIPAccessEXCLUSIVE interview with the amazing LohAnthony below! Previous VIPAccessEXCLUSIVE: Amber Montana Exclusive Interview With Alexisjoyvipaccess At DigiFest LA! Next VIPAccessEXCLUSIVE: Noah Cyrus Exclusive Interview With Alexisjoyvipaccess At DigiFest LA! Enjoyed your article of this YouTube sensation Loh Anthony !